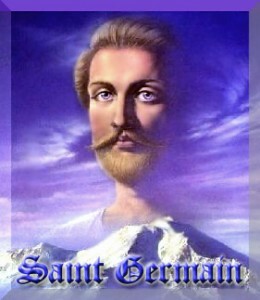 Saint Germain is the Chohan of the Violet Flame and Hierarch of the Age of Aquarius that has been born! The Violet Flame is His Ray and both he and his flame are the flames of Freedom! We are entering into the Age of God Freedom. Freedom to Be our Divine Self in Creation! This is the Abundant Life that has been the promise of great spiritual teachers throughout the Ages. Together, with Saint Germain, we bring in the Golden Way of Being. The Violet Flame is the miracle transmuting flame that burns through all energy veils of separation and duality, and brings forth divine light, abundance, wholeness, and solutions from God within. 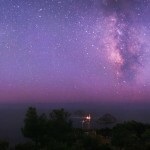 Saint Germain is a True Light of the World and beyond, and we can Feel his Love for us and for our beloved Freedom’s Star when we connect with the Violet Flame in our Heart. Saint Germain will be working very closely with all of those who are feeling called to surrender their illusions of separation and step into their shoes of Being the Most Beloved, and bring forth the Golden Age of Saint Germain and Oneness.Saint Germain’s twin flame is Beloved Portia, Goddess of Justice and Opportunity, and together they are the Father Mother Chohans of the Freedom Ray. 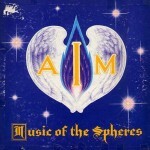 We enter into the auspices of these great cosmic Beings when we dig within ourselves to stand for what is right and true, to shine our Light regardless of the outer and to Be our Divine Self.It’s the Age of Freedom and we are the Ones that will bring into manifestation this age of Divine Light. So be present with your Self, connect with the Violet Flame and get to know Beloved Saint Germain, who is calling all of his children and students and Light bearers everywhere to stand united in Freedom’s Ray!The Violet Flame is the ONLY Way we can Truly ascend this planet into the Golden Age without major Birth pains. Giving the Violet Flame Daily will lead to profound results both for yourself, for those around you and for our beloved Planet. Remember to give spiritual protection daily as well, as this is a master key to effectively outflowing the Violet Ray!Thank you for following your Heart and Being Freedom’s Ray! 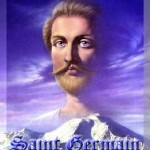 Join us for Violet Flame Saturday’s, which Beloved Saint Germain is helping to bring into our world! Official Saint Germain keynotes coming. Unveiled Mysteries < linked to amazon, also available online for free. Magic Presence < follow up to Unveiled Mysteries, written through Guy Ballard – both belong on your must read list! The Shakespeare Code – learn about the true identity of Shakespeare – could it be the secret son of the ‘virgin’ queen Elizabeth – Francis Bacon? A wondrous and amazing tale, all the more so because it’s True! The true author of the Shakespeare books hid his true identity in these books through cipher, which is now being released. Worth a read! Great book! When will it be a movie?